Your Organization is the main hub for all of your SalesforceIQ activity. 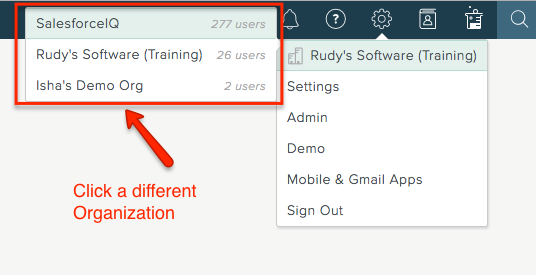 For most customers, your Organization is your company-wide Account that lets you collaborate with your teammates. 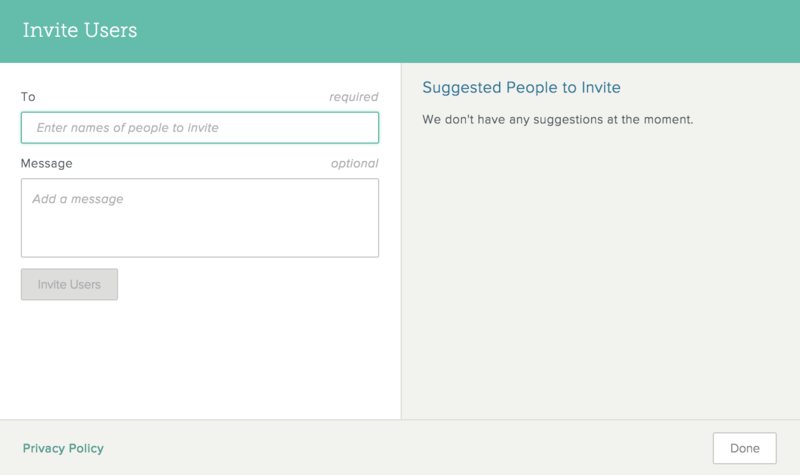 After you create an Organization, you can invite new users to your Organization or move a user from another Organization into your common Organization. If you have more than one Organization, hover over the displayed Organization name to see your other Organizations displayed to the left. Click the Organization you want. 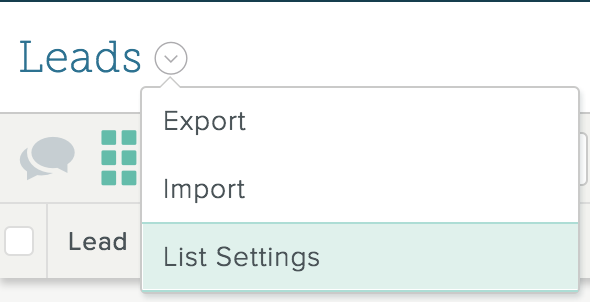 On the Settings menu, click Settings. 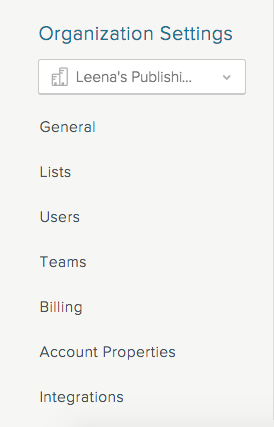 Click a category below the Organization name (General, Sharing, Lists, etc., located on the left hand side of the screen) to view those settings for the Organization. 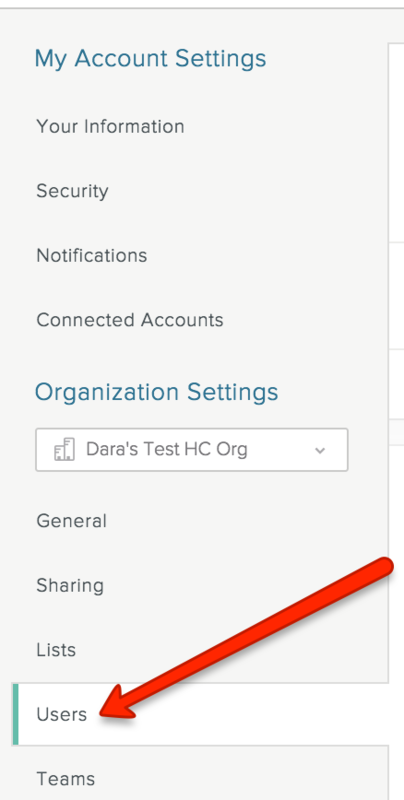 If you have multiple Organizations, you can click the current Organization displayed under Organization Settings and select a different Organization from the menu to customize settings for that Organization. Organization admins have certain privileges for managing Lists and Organizations. On the screen that appears, click Users. 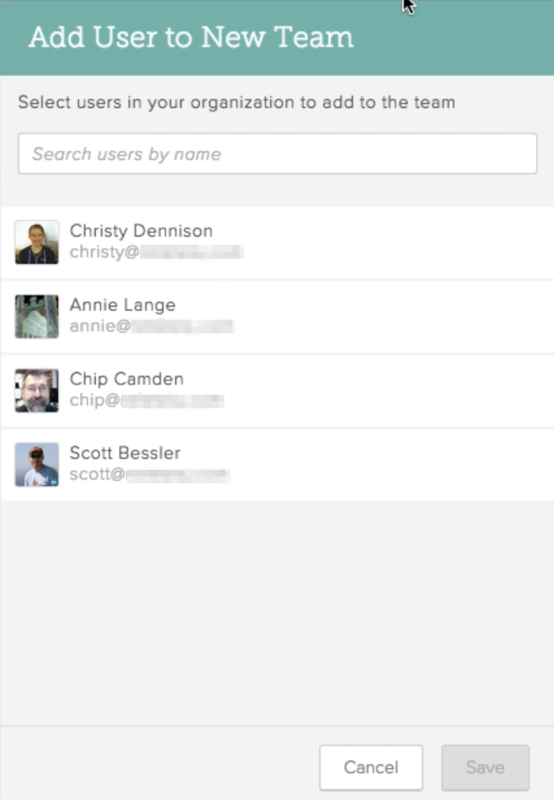 The Users screen shows who in the Organization is listed as a User, and who is an Admin. 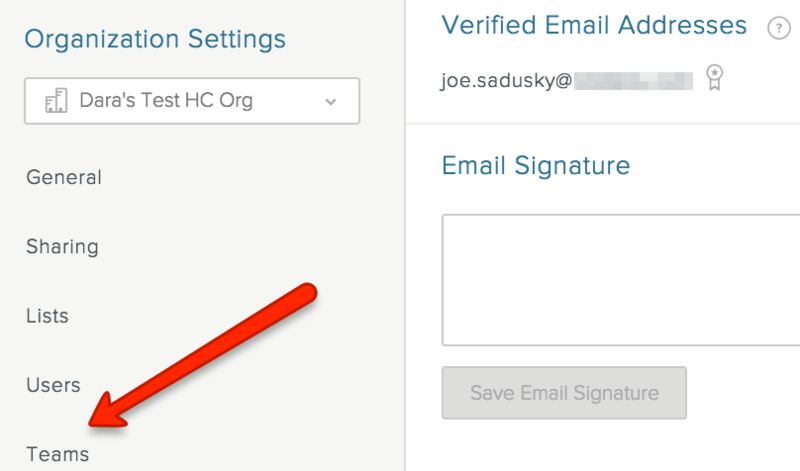 Invite new users to or remove current users from the Organization. 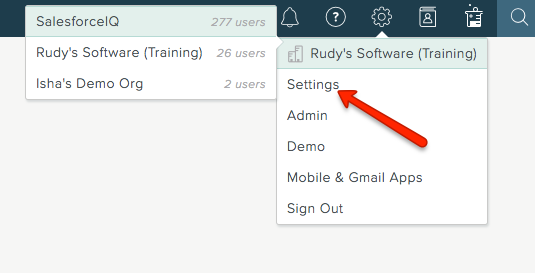 Select User or Admin from the drop-down menu that appears to the right of any Organization member's name. Note: If you would like to become an Organization admin, please contact your current Organization admin and ask him or her to switch you from a User to an Admin.